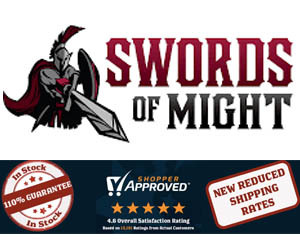 Scorpion Swords and Knives LLC was started in 2008 and is a small family owned business operated by Chris Palmer, who you may know from the History Channels "Top Shot" series 1,3 and 5. 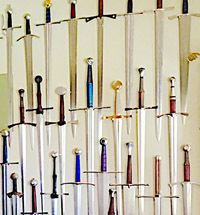 Originally making hand made bows (hence the website name) Chris branched out to make knives and short-swords as based on and inspired by ancient history, video games and movies as requested by his customers with a theme that could be described as battle ready fantasy. 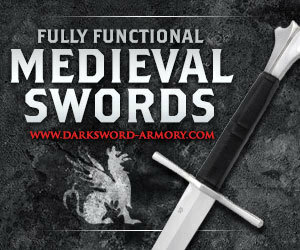 Their swords and knives have a reputation for extreme durability (essentially almost indestructible) and are made from tempered and hardened 1095 carbon steel with no blade and handle over 31" in total length. 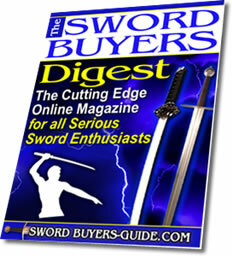 Scorpion Swords are made to order and take around 6-8 weeks from ordering to completion depending on their workload. 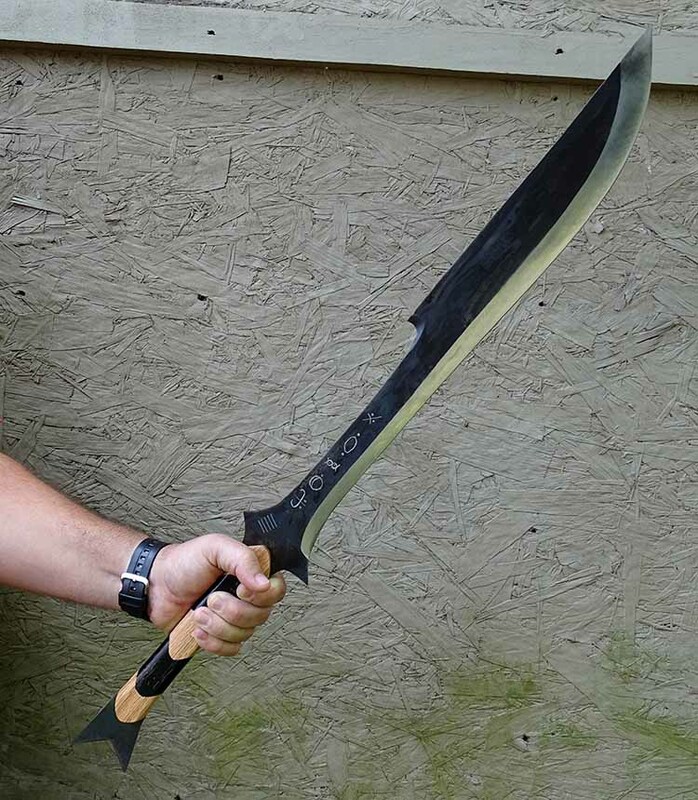 Bowie Knives and the oversized monstrosities seen in movie such as Predator, Resident Evil, Counterstrike, Dishonored and even the Crocodile Hunter. Prices typically around $200-250. Used as props by professors to appearances on TV shows and of course, backyard cutters. Hard to find ancient world replicas can all be found here and all are under $300. 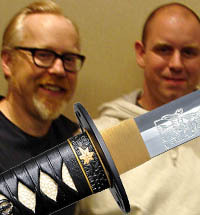 Battle ready fantasy swords that did not exist in history but are based loosely on historical blade designs that WORK. 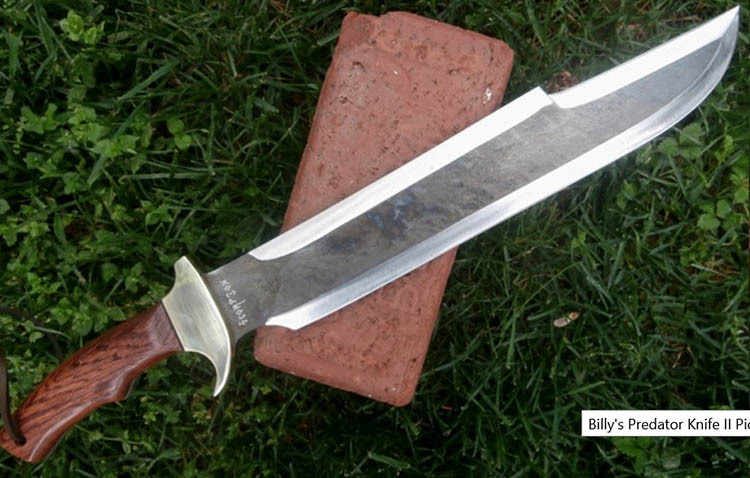 Recently has produced several SBG member designs as part of Legendary Swords: Project Eletreus including the Goblin King Sword (pictured), the Orc Kings War Cleaver, early Aelutian Gladius and the dusk winds goad. 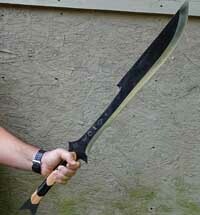 Scorpion Swords are all hand made using the stock removal method at their Missouri based family owned workshop. Almost all of the blades are done by Chris Palmer though he does have some staff to help out in the busier times of year. 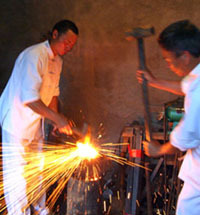 Blades are cut and hand ground to shape from sheets of 1095 carbon steel. 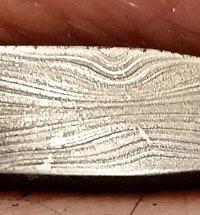 The blanks are then heat hardened by heating the steel to 1500 degrees until it becomes non magnetic and then oil quenched. They are then heat tempered by heating the blade to 500 degrees for 2 hours and letting it air cool. 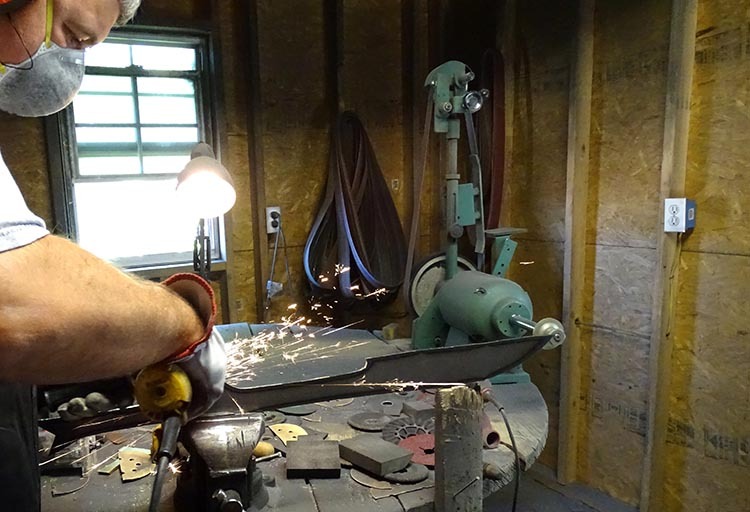 Due to the size of the equipment used in the hardening and tempering process, no blade can exceed a total length (including the tang) of over 31". 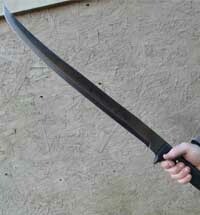 Hilts are full tang in the truest sense of the word with a sandwich tang and scales of high quality linen mircarta or various hardwoods - pinned and gorilla glued in place so that there are no moving parts and it essentially becomes a one piece construction. 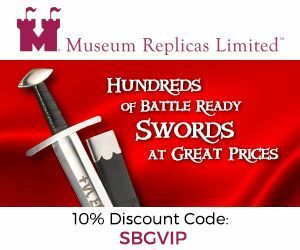 The overall construction makes these swords exceptional strong and have been extensively tested - so far no target has been able to actually damage them.. 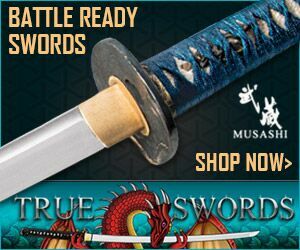 The most common issue with Scorpion Swords is that every now and again when they are exceptionally busy, a sword sneaks through quality control that is slightly warped by the heat treatment and only really found after spending a lot of time handling it. 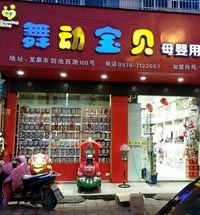 In such cases, Chris is quick to fix and issues that arise and has a reputation for standing behind his products. The only other complaint is that some people expect a razor sharp edge - Scorpion put on a serviceable edge, but if you require it to be sharp enough to shave with, it is suggested to further touch up the edge if so desired. 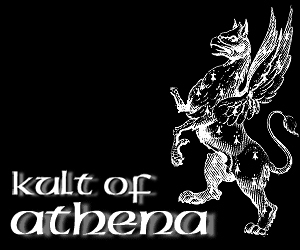 In addition to their website and here at Kult of Athena you can pick up a wide range of their swords right here at the SBG Sword Store, which includes several exclusive models and free customization on each and every sword sold.